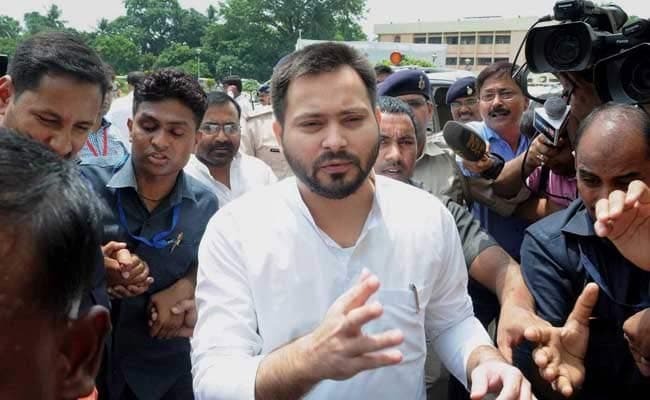 Stepping up his attack against the Nitish Kumar-led government, leader of the opposition in Bihar assembly Tejashwi Yadav has alleged that a conspiracy was being hatched to poison his food at the government-run circuit houses where he stays during his ongoing tour in the state. Mr Yadav, who is the younger son of RJD chief Lalu Prasad, made this allegation a day after he claimed that his phones were being tapped, allegedly at the behest of the state government that was "nervous at the overwhelming response" to his yatra. In a statement issued on Thursday, Mr Yadav claimed he had come to know "from reliable sources that a serious conspiracy was being hatched against him by the Nitish Kumar government". "After phone tapping, now there is an attempt to spike my food with poisonous substances at the circuit houses where I put up during my yatra. Efforts are being made to stalk me and spy on my public rallies," alleged Mr Yadav. Last year, Nitish Kumar walked out of the alliance with the RJD and Congress amid a row over corruption allegations against Mr Yadav, who was deputy chief minister, and some of his family members. 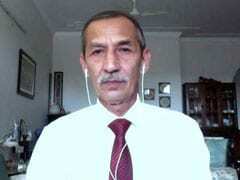 Mr Kumar resigned and later formed the government with the BJP. The yatra of Mr Yadav comes ahead of next month's bypolls to Araria Lok Sabha constituency and the assembly seats of Bhabua and Jehanabad. Mr Kumar's party hit back at the allegations, saying Tejashwi Yadav had 'crossed all limits'. "It shows he has the intuition that the RJD will face defeats on all the three seats," said JD(U) chief spokesman Sanjay Singh. A few days ago, Mr Yadav's elder brother Tej Pratap Yadav had alleged that he quit the government bungalow that was allocated to him as Nitish Kumar and his deputy Sushil Modi had "unleashed ghosts". The JD(U) had denied his allegations, calling them publicity seeking gimmicks.